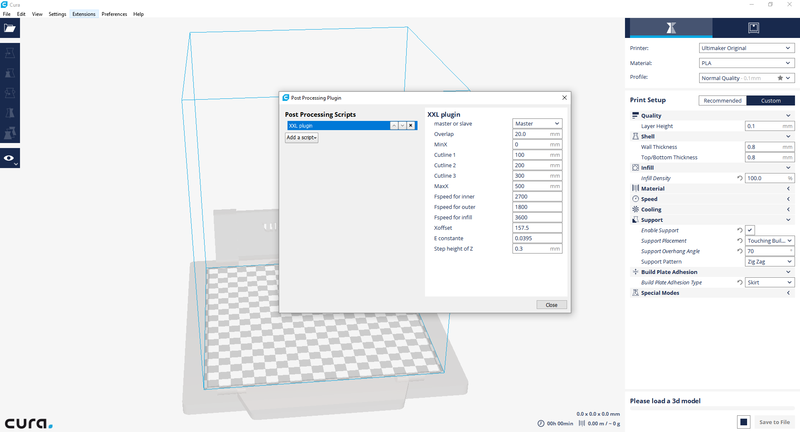 We intended to create a post-processing plugin for Cura. We needed to create the interface, after which the post process code can be linked to the various inputs. The interface is now finished, but the linking of the code and inputs still needs to be done.